AT&T, Sprint and T-Mobile to receive HTC M7 at launch; Verizon's HTC M7 will be delayed? 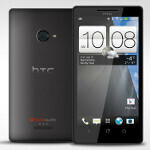 The HTC M7 is expected to be the Taiwan-based handset manufacturer's flagship Android phone for 2013. In an era of handsets wearing similar 5 inch panels with FHD resolution and pixel density of 441ppi, the HTC M7 allegedly gets off the 5 inch train, but in doing so, comes up with a screen that might top the competition for clarity and sharpness. With a rumored smaller 4.7 inch screen, the FHD resolution on the HTC M7 would provide a pixel density of a whopping 468ppi. And just on case you are comparing the numbers to the Apple iPhone 5, that device has a Retina display of 326ppi. It doesn't take much imagination to see that the HTC M7 just might grab plenty of attention thanks to that display, the same way that the HTC DROID DNA has become a popular model at Verizon. Meanwhile, a highly reliable source for HTC Source is telling the site that the HTC M7 will be offered by T-Mobile, Sprint and AT&T on the U.S. launch day. Are we leaving someone out? Let's see. T-Mobile. AT&T. Sprint. Ah yes, we left out Verizon. Actually, there is a reason for that. According to the source, for reasons not revealed at this time, The HTC M7 is delayed for Verizon. Perhaps with the big ad campaign that Big Red has for the HTC DROID DNA, the carrier sees no reason to rush out a new flagship model. Just yesterday, we passed along the water cooler report which suggests that the HTC M7 will launch March 8th in both black and white, and most likely in Europe first. The gossip says that the U.S. carriers will release the phone a few weeks later. That is, with the exception of Verizon, if this speculation pans out. HTC's press event is coming on February 19th and we should learn a lot more about the HTC M7 on that date, including the U.S. launch schedule. once again Verizon fails to come out with an awesome device the same time as everyone else, they probably want to load on their bloatware s**t on the phone and screw up the entire phone experience! Verizon can release the phone same time and have their bloatware on board. Verizon doesn't need to release the M7 so soon because the DNA is gonna be relevent for months. wow htc lost its creativity looks the same as any other one of there phones get outta here. Looking at just about all material things, they try not to stay stale in design. Also, what's with all this new found importance about looks? With a 1080p display, why would you be looking at anything else? Either way there are alot of choices out there. So to each his own. Kind of like how Sony's had two basic designs over the past four years? Anyways, how in the heck is this a bad thing? If it looks like an HTC phone, people will know it as an HTC phone, and brand familiarity will strengthen. How much of their design language really changed from the Xperia T though, and apart from on-screen buttons, how much was changed from the Xperia S? It's still Timescape. I don't exactly see how the Xperia Z is such an innovation in smartphone design. Sure, it looks decent, but not revolutionary, or even innovative. It simply continues the basic trend of year-after-year marginally increased specs that we've come to demand from every smartphone manufacturer. Who hasn't? Wtf do you think "brand recognition" is? looks better than a galaxy s3 or note 2 any day out of the week... what's your point? Truth is VZW is still debating on the best way to screw up the aesthetics of the handset by placing it's logo on the front & back @ 3x the size of HTC's. Haha! No doubt! I am SO glad I found the right Grey cover up sticker for my home button on my Note2! In reality, the HTC phones on VZW never had a VZ tag on the back...the 4 that I've gotten anyway. HTC has been one of the few in this regard. 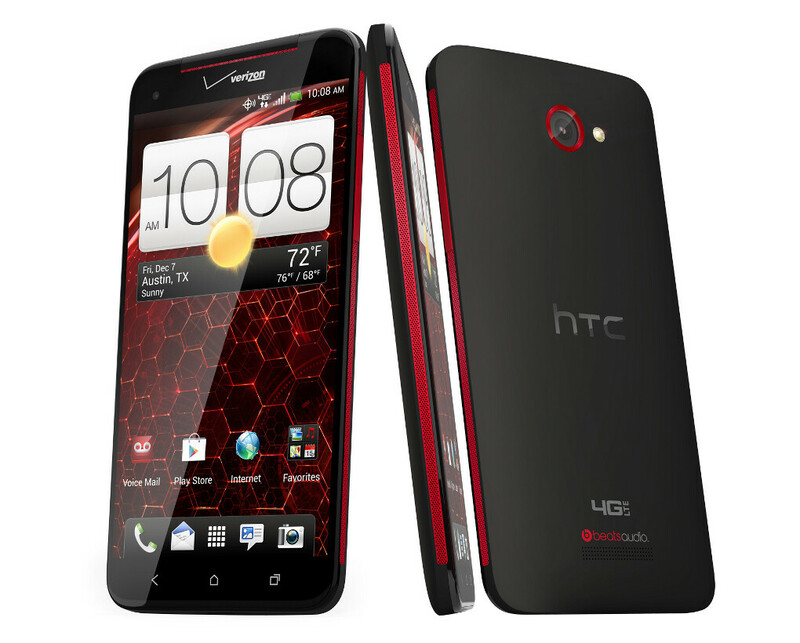 They put "1" VZ logo up high on the front where its not even hardly noticeable and 3 subtle letters on the back "hTc". Now Sammie and Moto, they are horrid with logos! You sir deserve 5 thumbs up for that comment. I'm just waiting for a Verizon put a transparent Verizon logo in the middle of the screen!!! You heard it here first! Good luck HTC. I love my one x. It looks like an HTC 8X which is not necessarily a bad thing. Just like I thought, how can T-Mo not get this device... just didn't make sense. Hopefully all goes well for HTC on the M7. One thing I wish tho, is that the phone won't have carrier brandings on it. That's probably not possible, but I prefer seeing HTC instead of T-Mobile or AT&T branding on my phone. Hopefully it'll happen one day on T-Mo after phone subsidies are gone. With the way Verizon is so slow to receive handsets, and deliver updates to the handsets they do have, you can quite literally call them, "retarded". Let's hope that's not the case, cause Xperia was only on AT&T before. Cept for Xperia Play which one on Verizon too. lm glad that t mobile, sprint an AT&T will have it first, wiz all the respect l do not like verizon at all !! I don't understand Why the M7 won't have a 5" or above screen? They probably dont want to follow the trend and make bigger and bigger phones every year. Which is fine by me cause id rather they and text and surf the web with one hand. I don't understand why people don't just get a Nexus 7 for a phone, why wouldn't people want to use a 7" phone?